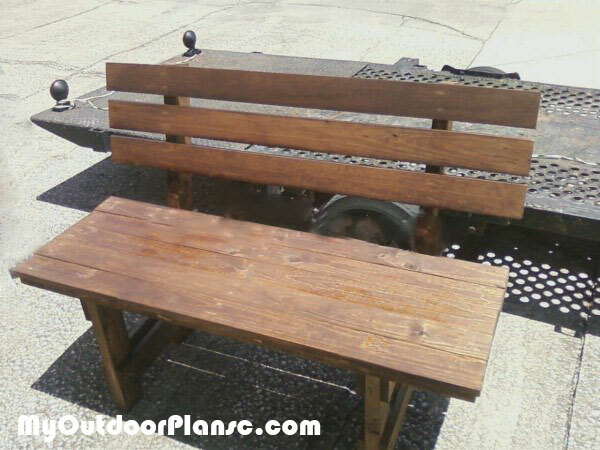 I found your plans on Google when searching for a wood bench for my garden. I liked the rustic design and the manly style, so I have decided to give it a shot. I used 2x4s and 2x6s for this project, mainly scrap wood that I ha left from other projects. The bench is extremely sturdy and it also has a nice look. I stained the bench and then sealed it with poly. Thanks for sharing the plans! Great build, Marc! I really love how it turned out. And it looks so sturdy. I’m looking forward to seeing your next projects!